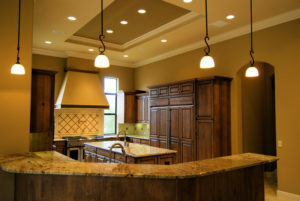 It is essential to make sure that your home has sufficient lighting; this may sound obvious but happens to be a very common complaint that Washington Township, NJ homeowners have. Don’t plan your lighting around how well lit your home looks on a naturally sunny day; it is better to have too much lighting than not enough. And don’t make plans around adding floor or table lamps, you will almost always wish you had planned for more installed lighting. This also means making it a point to only work with reputable contractors who know how to plan accordingly, including making sure your system can handle the amount of lighting and wiring that you want. The problem is that there are too many self-proclaimed pros out there, lacking the skills and knowledge and just trying to make a quick buck. Don’t take chances when it comes to the safety of your home and safeguarding your loved ones.